Social factors, signals, and biases shape the health of our nation. Racism and poverty manifest in unequal social, environmental, and economic conditions, resulting in deep-rooted health disparities that carry over from generation to generation. 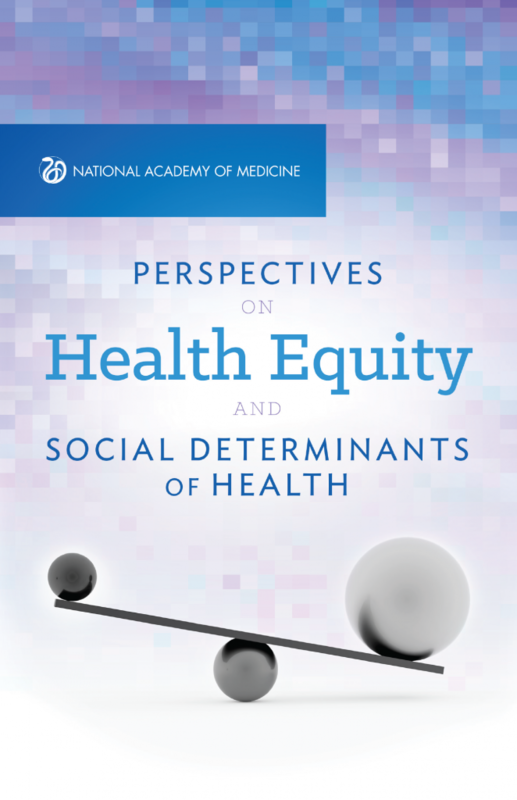 In Perspectives on Health Equity and Social Determinants of Health, authors call for collective action across sectors to reverse the debilitating and often lethal consequences of health inequity. This edited volume of discussion papers provides recommendations to advance the agenda to promote health equity for all. Organized by research approaches and policy implications, systems that perpetuate or ameliorate health disparities, and specific examples of ways in which health disparities manifest in communities of color, this special publication provides a stark look at how health and well-being are nurtured, protected, and preserved where people live, learn, work, and play. All of our nation’s institutions have important roles to play even if they do not think of their purpose as fundamentally linked to health and well-being. The rich discussions found throughout Perspectives on Health Equity and Social Determinants of Health make way for the translation of policies and actions to improve health and health equity for all citizens of our society. The major health problems of our time cannot be solved by health care alone. They cannot be solved by public health alone. Collective action is needed, and it is needed now. This project was made possible by support from the NAM’s Kellogg Health of the Public Fund.